Twenty-one years ago on December 31, 1994, five young men came together in Kingsport for a performance which launched one of the most respected and influential bands in modern Bluegrass. As Blue Highway gears up for a new album and an exciting new touring season, the powerhouse band will go forward without one founding member, Rob Ickes. Blue Highway announced today the departure of their band brother and Dobro player, Rob Ickes, who skyrocketed over 21 years into a celebrated Dobro legend and the most awarded instrumentalist the IBMA has ever known. In 1994, I had the tremendous good fortune of being invited to join Blue Highway as a founding member. I can’t imagine a better opportunity for a young Dobro player, and Blue Highway has been a stellar creative home for me for 21 years. So it is truly with a heart full of gratitude, and more than a little sadness, that I announce my departure from the band. There are many reasons that have led me to this decision, but it all boils down to the fact that 21 years is a long time, and I’m ready to put my energy into other musical projects. In recent years, I have done some touring in smaller ensembles. Those experiences really made me recognize how much more difficult it is for a larger band to deal with the complexities of travel, scheduling, recording, etc. The music is great, but everything that has to happen to get to that moment of creating great music is more complex and consuming. So I am taking this step to simplify things. It is just so much easier to travel and perform on stage with a smaller group, and that is where I’m planning to focus my energy for most of my upcoming live performances. To the guys in Blue Highway, words can’t express my gratitude, and how proud I am of the deep and rich repertoire of music we have created together. To our fans, I can only say that you made our 21+ years not only possible, but also immeasurably rewarding. I hope you will continue to support both Blue Highway and myself in the future – Rob Ickes. The four remaining founding Blue Highway members wished Rob the best while expressing their excitement for the upcoming tour season and new studio album. Rob is my brother till the end of time. Nothing can change that. I couldn’t be prouder of the work we’ve been blessed to do together and what we’ve accomplished together. I wish him the very best in everything he does – Shawn Lane. Rob is the most dedicated musician I know, and he will thrive in whatever musical path he chooses to take. I’ll miss his musicianship and the unique sound he brought to the band, but most of all, I’ll miss him. Thanks Rob, for the all years of music, laughs and friendship – Jason Burleson. While we’ll miss Rob, we wish him nothing but the best as he moves forward, and we look forward to rolling on with Blue Highway – Tim Stafford. We love Rob. We also love what we do, and we’re pumped to get in the studio and bring a new Blue Highway album to the fans! Bluegrass has the most dedicated fans in the world. Thanks to everyone who has supported this band through the years. You are the reason we’re still here, and that means everything – Wayne Taylor. Blue Highway charted the most radio airplay of any bluegrass artist in 2014, and will head into the recording studio as the New Year dawns in 2016 to create another piece of Blue Highway magic. 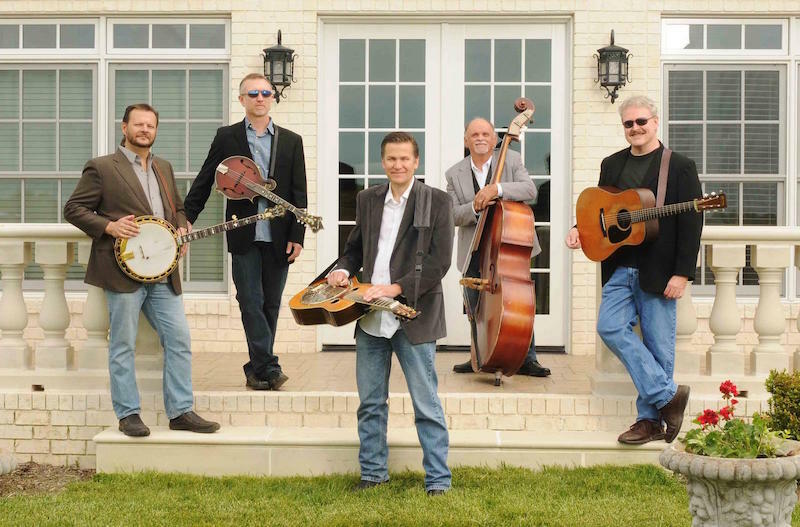 Their most recent album The Game topped multiple charts at #1 including reigning at #1 for 7 consecutive months on the Bluegrass Unlimited Album Chart, and was named the #1 Bluegrass Album of the Year by critic Daniel Mullins in his end of the year Top 20 Albums of 2014 list in Bluegrass Today. With an announcement of a new fifth member to come in the weeks ahead, Blue Highway will roll on with a rich legacy carried on by three powerhouse songwriters and vocalists in Tim Stafford, Wayne Taylor, and Shawn Lane, whose harmonies soar over the dynamic and explosive banjo of Jason Burleson.